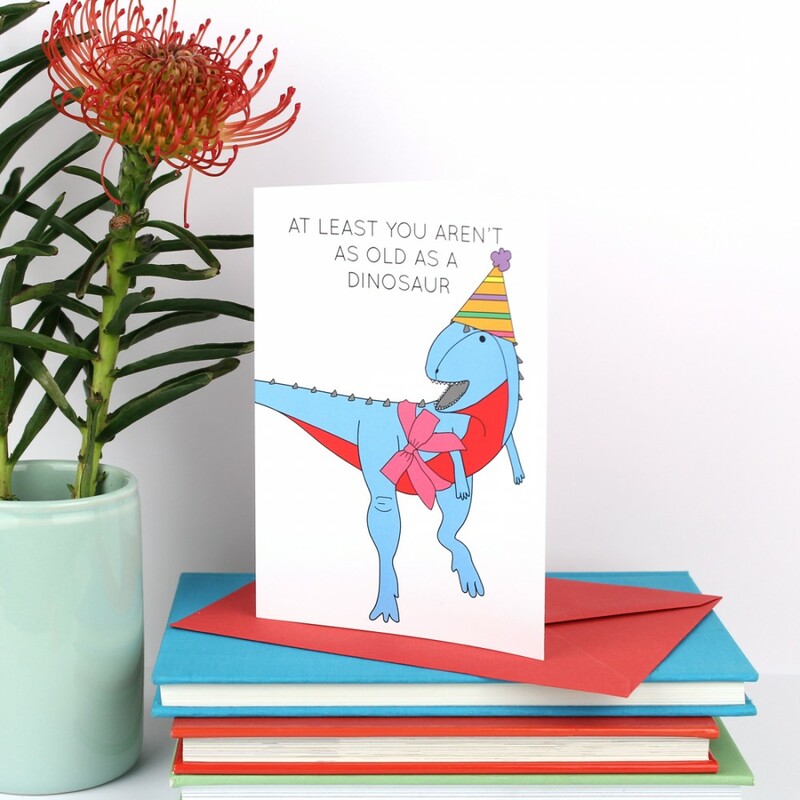 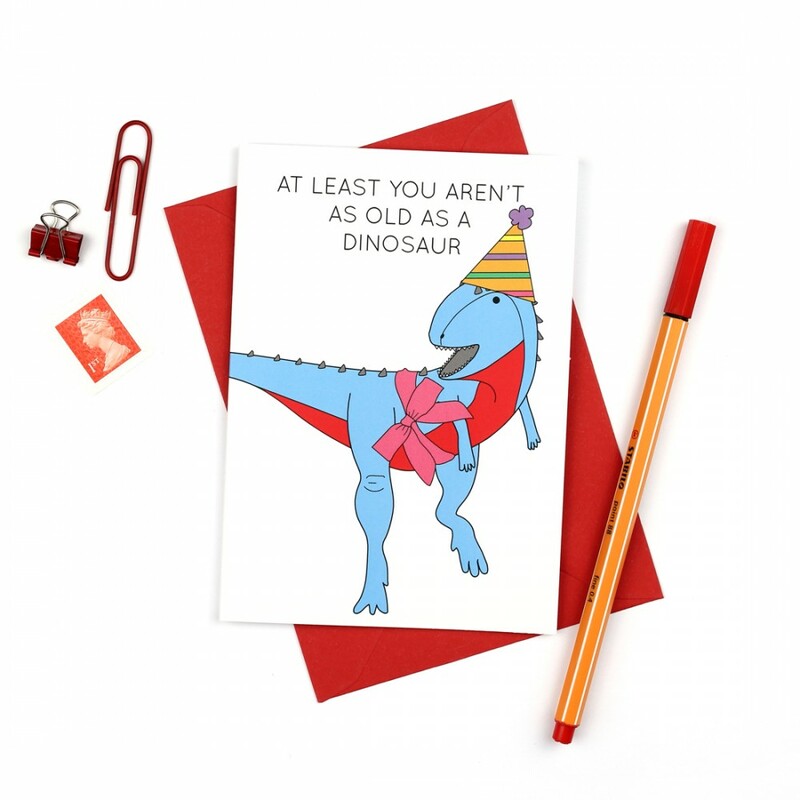 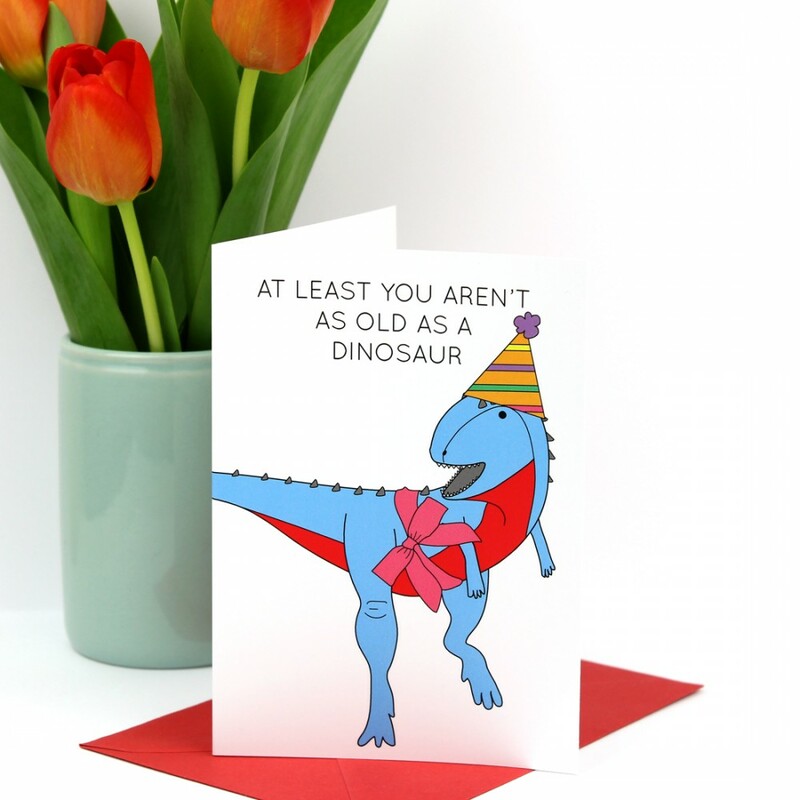 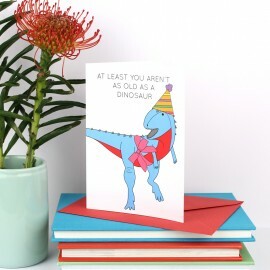 This super cute dinosaur birthday card is a great way to remind people that they could be older! 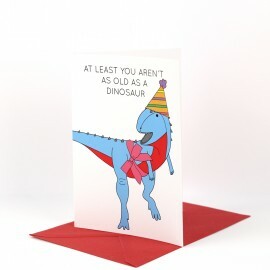 The card features a blue and red dinosaur wearing a party hat with a pretty pink bow around its waist. There is text at the top reading 'AT LEAST YOU AREN'T AS OLD AS A DINOSAUR'.